Welcome to the eReplacementParts.com Site Information page. The links and information on this page answer the most common questions our customers have about our website and our company policies. Our customer service team is happy to answer any additional questions not answered by the information on this page. Contact our customer service agents by email or by calling 866-322-9842866-322-9842 (toll free). eReplacementParts.com respects your privacy as a customer. That's why all personal information you provide to us is held in the strictest confidence. What personal information does eReplacementParts.com gather? Information You Provide to Us: We receive and store information you provide to us when you visit our website, when you place an order with us or communicate with our call center through phone calls, email, questionnaires, customer reviews, installation instructions, or through your participation in contests etc. Automatic Information: We receive and store information whenever you interact with us. As an example we, like many other sites on the internet, use "cookies" that provide us with information whenever your web browser accesses eReplacementParts.com either directly or through advertisements or by visiting us from other third parties. Update you with information regarding new features, product offerings, product recalls, customer feedback surveys, alerts or notices etc. Does eReplacementParts.com share the information it receives? Affiliated Businesses: We share customer information with parent company(s) and subsidiaries of EReplacementParts.com.com. Third Party Service Providers: We employ other companies and individuals to perform functions on our behalf. Examples may include fulfilling orders, delivering packages, sending postal mail and e-mail, analyzing data, providing marketing assistance, processing credit card payments, and providing customer service. These third parties have access to the personal information needed to perform their various functions but may not use it for other purposes. Business Transfer or Sale: All customer information is considered to be an asset of eReplacementParts.com and would be included and transferred to an acquiring entity in the event that eReplacementParts.com or its parent is sold or if substantially all of its assets or shares are acquired by another party. Protection of eReplacementParts.com and Others: We release personal information when we believe release is appropriate to comply with the law; or to comply with any other third party agreements; or to protect the rights, property, or safety of eReplacementParts.com, our users, or others. This includes exchanging information with other companies and organizations for fraud protection and credit risk reduction. Site Security: Our website purchase page protects the security of your information during transmission by using Secure Sockets Layer (SSL) software, which encrypts information you input. We retain only the first four and last four digits of your credit card numbers when confirming an order. Of course, we transmit the entire credit card number to the appropriate credit card company during order processing. Credit Card Numbers: As a security precaution and as a general rule, we store only the first and last four digits of your credit card number. While the complete credit card number is securely transmitted to your bank during order processing, we retain only the first and last four digits in our system to confirm the card used for customer inquiries as well as for the processing of item returns. One exception to this rule is that we do retain a temporary secure copy of the complete credit card number in the rare instance when there is a communication/transmission failure with your financial institution during the payment process. This allows us the ability to retransmit the card information for payment once communications are reestablished. Following the successful completion of the payment we delete the temporary version of the complete credit card number and retain only the first four and last four digits in our system to confirm the card used for customer inquiries as well as for the processing of item returns. We take every precaution to ensure the safety and security of our website. Our checkout pages are protected by 128-bit encryption and 256-bit encryption (if your browser supports it) to ensure that your personal information is transmitted securely. When placing a credit card order, the credit card information is transferred through a high security channel for processing. Our customers can be confident that they're ordering from a secure, reputable website. Messages can also be sent using our internal email message system here. We will respond to all email within 2-3 business days. We can be reached by telephone from 7 AM - 1 AM Monday through Friday, ET and Saturday through Sunday from 7 AM - 11 PM, ET. 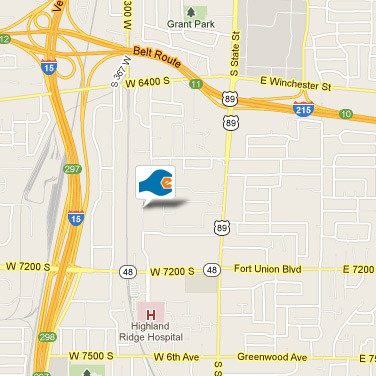 We have two local repair shops in the Salt Lake Valley, A1 Industrial Tools and Service and the Appliance Service Center. A1 Industrial Tools and Service offers local repair services for the following categories: power tool repairs, lawn and garden equipment repairs, outdoor equipment repairs, and small engine repairs. A1 is able to service the vast majority of product brands and models offered on our site within these categories. Walk-ins are welcome. You are welcome to visit the A1 Industrial Tools and Service website here. Salt Lake City's Appliance Service Center provides local repair service for small appliances, Power Wheels, and power tools, including the vast majority of small appliance and power tool brands and models offered on our website. Walk-ins to the repair shop are welcome. Our local customers have full access to our parts inventory with the same pricing as our online store at both repair center locations. The majority of our orders are placed with credit cards and debit cards. We accept Visa, MasterCard, Discover, American Express, and PayPal. Debit cards are also fully accepted. Our system will run a debit card as a credit card (a pin number will not be required). As described in our website security section, credit and debit cards are processed securely using 128-bit encryption. As an added security measure, credit card numbers are not stored anywhere in our computer systems. We are also happy to help customers place orders by phone. To place an order by phone, please feel free to call us at 866-322-9842866-322-9842 (toll free). Because many of our orders involve special ordering items for customers, we require payment up front for all orders. Payment cards will be charged when orders are placed, not when orders ship out. Order payments can appear on credit card statements or online bank statements before an order is shipped. We also accept checks and money orders as payment. Please make checks and money orders payable to eReplacementParts.com. We are unable to accept checks made out to "Power Tool Parts," "Makita Parts," and other such names. See how to calculate shipping costs and order totals below. If you have additional questions, please call us at 866-322-9842866-322-9842 (7 AM - 1 PM Monday through Friday, Eastern Time). eReplacementParts.com does not accept COD deliveries for orders. We must receive payment before shipping any order. eReplacementParts.com does offer open accounts to our corporate, government, and high volume customers. Please see our Corporate Accounts section for more information. We guarantee our customers' satisfaction, 100%, and we back up that guarantee with a simple, no-hassle return policy. If you are not satisfied with your purchase for any reason, you can return your item within 45 days for a full refund of the product price. If you would like to return your products, please go into your account or go to "Check Order Status" and create an RMA (Return Merchandise Authorization) online. The RMA number will expedite the return process and ensure that you receive your refund (or exchange) as soon as possible. Or you may call us at 866-322-9842866-322-9842 to receive an RMA number. To make shipping a return even easier, we offer a flat-rate $5.50 USPS shipping label for eligible U.S. customers returning products that weigh less than 70 lbs. You’ll have the option to print this label after creating an RMA number for a return from your order history online, or you can receive the label in an email after Customer Service generates an RMA for you. Print your label, tape it to the outside of your return package, and drop it off at a USPS. The $5.50 price for the label will be deducted from the refund. For items over 70 lbs. please call Customer Service at 866-322-9842866-322-9842. We offer special accounts and special pricing for corporate, government, and high volume customers. Net-30 open accounts are available following a credit check. Tax exempt accounts are available for government organizations and companies using our products for resale. W9 forms and applicable documentation are required. Please contact us for more information about these special accounts and high volume pricing (available to accounts charging $1,500+ per year or placing 15+ orders per year). At eReplacementParts.com, we believe in empowering tool, machine, and appliance owners from all walks of life to confidently perform their own repairs. We've engineered our company's services to target our customers' needs at each step of the repair process, from fast and accurate parts ordering--backed up by speedy shipping--to professional repair advice published on our website. Our website is a specialized platform for finding and ordering parts of all kinds unlike any other parts ordering system on the internet. Its smooth and helpful design features--like breakdown schematics and real parts photos--deliver shop-quality reliability to the fingertips of those who use them. We stock Original Equipment Manufacturer (O.E.M.) parts from dozens and dozens of major manufacturers within the above product categories. To add further convenience, we also stock a huge inventory of popular parts in our warehouse which are available for immediate shipment. In the case of special order parts, we are able to quickly order them from the companies that manufacture them. Our repair experience helps us understand that customers often need support long after their parts are ordered and delivered. This is where our dedicated Customer Service Team steps in to back customers up through those last steps of the repair process. In short, we are here for our customers until the job is done. Our customer service support staff can be reached by email or by calling 866-322-9842866-322-9842 (toll free). eReplacementParts.com has been in business selling parts online since 2004. We are located in Sandy, Utah in the Salt Lake Valley, U.S.A.
We stock a huge selection of parts in our Salt Lake Valley warehouse, but with so many power tool parts available, we are simply unable to stock every part for every product. Our website shows real-time inventory statuses for every part that we normally have "in-stock." Our website also shows which items must be special ordered from their manufacturers before we can ship them from our warehouse. Our policies for regular special order items, expedited special order items (drop shipments), backordered items, and discontinued items are explained below in this section. In order to provide customers with full access to every part available on the market, we will special order non-inventory parts for customers directly from the part manufacturers. Most special order items must first arrive at our warehouse before we can ship them to customers. Because of this, special order items have lead times. We estimate that most special order parts will arrive at and leave our warehouse within 1-2 weeks from the date of order placement. Although, the average extra wait time for a special order parts tends to only be about a week. There are no extra charges for regular special order items. If the 1-2 week lead time before shipment of a special order item is too long for a customer's repair situation, we offer direct "drop shipments" as an alternative shipping method. A drop shipment special order is shipped directly from the manufacturer to the customer without first arriving at our warehouse. Drop shipments generally cut several days from the ordering and shipping process. This method of parts ordering is faster, but we cannot guarantee day-definite delivery on drop shipments (such as overnight or two-day deliveries), since the entire shipping process is out of our hands. There is a $10 fee in place for drop shipment orders in addition to normal shipping costs. We must charge this additional fee to cover service charges billed to us by part manufacturers, and also because drop shipment orders must be processed manually. To place a drop shipment order, please contact us at 866-322-9842866-322-9842 (toll free). Although infrequent, manufacturers sometimes run out of an item entirely. An item is considered on back order if we don't have it in our warehouse, and if the manufacturer has also sold out of the item. If an item has sold out from the manufacturer, the most we can do is wait for the item's back ordered status to change and keep our customers informed of the situation. In many cases, it can take weeks or even months for manufacturers to release a backordered item. We make every effort to notify customers of backorders at the time of sale. However, parts can go on backorder without the manufacturer first notifying us, making it possible for customers to purchase back-ordered parts. We notify customers by phone as soon as we discover that a back-ordered item has been purchased. Customers can then decide whether or not to keep the order open as-is, or to remove the back-ordered item from the order. If an order for a back-ordered item is kept open, the back-ordered item will be shipped to the customer as soon as it arrives at our warehouse. Machines and equipment have limited support lives, so a manufacturer may decide to discontinue some or all of the replacement parts for a product after a few years. Discontinued parts are not orderable on our site. We indicate discontinued parts on our website with a yellow highlighted line in our parts listings. We are simply unable to sell discontinued parts to our customers, because they are similarly unavailable to us from the manufacturer as well. Manufacturers can discontinue a part without notice, so it's possible for a discontinued part to be mistakenly ordered if the manufacturer fails to first notify us. If a customer orders a part that has been discontinued without our prior knowledge, we will contact the customer as soon as we are made aware of the part discontinuation and make arrangements for a full refund. In-Stock Orders will ship from our warehouse within one business day of placing your order. This includes orders with several parts in them, as long as all of the parts are in stock when they are ordered. Orders with one or more "special order" parts must be specially ordered and have a longer lead time. This lead time is necessary to acquire parts from the manufacturer. Please note that these lead times indicate the estimated time until your shipment is expected to leave our facility, not the final delivery date. After shipping from our warehouse, packages will follow the package transit times schedule listed in this section. Also, please note that we do not ship packages on weekends or on major holidays. The estimated lead times count regular business days only. Once an order is shipped from our warehouse, the package will follow the transit time as described below. This transit schedule is an estimate only, except where otherwise noted. Transit times start on the first full day after shipment. Packages do not move on weekends. Note: When you place your order, the shipping estimates will display accurate delivery timeframes for your address. Ground shipping is inexpensive, fairly fast, and extremely reliable - Delivery within the quoted transit time period is guaranteed. * Tracking is available for all Ground shipments, and a tracking number is automatically emailed to customers upon shipment from our warehouse. Next Business Day provides guaranteed one day nationwide service. * Tracking information will be emailed to customers when an order ships. * Transit times start on the first full day after shipment. We are not responsible for delivery delay due to inclement weather or other special conditions. Shipping Costs on packages that arrive late due to uncontrollable conditions cannot be refunded. **The vast majority of non-guaranteed shipments arrive within the estimated time frame. However , there is no guarantee on this estimate - we are not responsible for packages that take longer than the estimated transit time. In rare cases, packages using non-guaranteed services have taken up to two weeks to arrive. eReplacementParts.com is proud to offer international shipping to our customers. Our international shipping is handled by iglobal stores.com. Customers who wish for their orders to be shipped outside of the U.S. must click the "International Shipping" link on the shopping cart page. The link will navigate international shipping customers to the iglobalstores.com website where they can complete their eReplacementParts.com order by filling out their shipping and billing information. Customers often need to calculate an order's shipping costs and total before placing the order. Using a check or money order as payment is the most common reason for this. Using our website's shopping cart is the easiest way to calculate shipping costs and order totals. Our shopping cart will allow you calculate your order costs without actually placing the order and without having to log in to a shopping account. Add the desired part(s) to the shopping cart. Parts can be added to the shopping cart from your product's parts list. Your product's parts list is displayed on its Product Page under its breakdown schematic. Use our part finder to locate your product's Product Page. Parts can also be added to the shopping cart from individual Parts Pages. Adding parts to the shopping cart will refresh your browser and navigate you to the shopping cart. Upon arriving to the shopping cart page, your order's total (without shipping) will be automatically displayed. Calculate shipping rates. To calculate shipping costs, enter the zip code of the shipping address to which you plan to have the order shipped. The zip code can be entered in the "Calculate Shipping Rates" area located in the middle of the shopping cart page. After entering the zip code, click the "Submit" button. The page will then display the shipping rates available for your order. Choose a shipping rate to calculate the order total. Select the shipping option that you want in the "Calculate Shipping Rates" area of the shopping cart page. Doing so will automatically update your order total to reflect the combined cost of the parts order and shipping costs. After calculating your order's total and shipping cost with the steps above, you can click the back button on your browser, close your browser, or simply navigate to another web page to cancel the ordering process. The order information will not be saved. Because many of our orders involve special ordering parts from the manufacturer, many orders have only a window of time when the order can be modified before shipment. If an order is waiting on special order items to arrive, customers can modify the order by adding or deleting as many items as they like. We do not charge a fee for modifying an order before the order is shipped. If items are added to an order during this waiting period, we will adjust the total on the credit card charge to include the cost of the additional parts and any additional shipping (when necessary). If items are deleted from an order during this waiting period, we will refund the price of the parts on the credit card. Once an order has shipped we cannot modify the order. After an order is shipped, any returns or exchanges are handled according to our return policy. Please contact us if you wish to make changes to your order. Orders for in-stock items ship within one business day. Customers can also make changes to in-stock orders, but the changes must be made quickly before the order ships. If you need to modify your order, it's fastest to call us. Orders can be canceled before they are shipped. Canceled orders are refunded in full, regardless of what was ordered. The purchase amount of the order will be returned to the ordering credit card. We recommend that you call us during business hours to cancel your order, but if you prefer, you may email us to cancel as well. Because we are unable to cancel or recall orders that have already been shipped, returning shipped orders must be handled according to our return policy.